LANSING, Mich. - Dec. 20, 2018 - PRLog -- Michigan Trails joined the Michigan Department of Natural Resources in announcing today the state's first round of Michigan water trails that includes the Central River Raisin Water Trail, the Chain of Lakes Water Trail, the Huron River Water Trail, Flint River Trail, Middle Grand River Water Trail, Shiawasee River Trail, Upper Grand River Water Trail, and Island Loop Route. Bob Wilson, Executive Director of the Michigan Trails and Greenways Alliance, enthusiastically supports the designation of these important water corridors as Michigan water trails. "With Michigan leading the nation in land-based trail mileage and the unmatched water resources we are blessed with, this is another important step we can take to provide our citizens with a world-class trail system." Wilson had worked for years to help develop and promote a system of water trails in Michigan during his tenure as Senior Counsel for the Michigan Senate Natural Resources and Environmental Committee. "Today's announcement of this first round of designations is a milestone in the states' trail program," Wilson explained. "There is so much more we can do to promote Michigan as the nation's leading trail state now that we have this important new program," said Wilson. 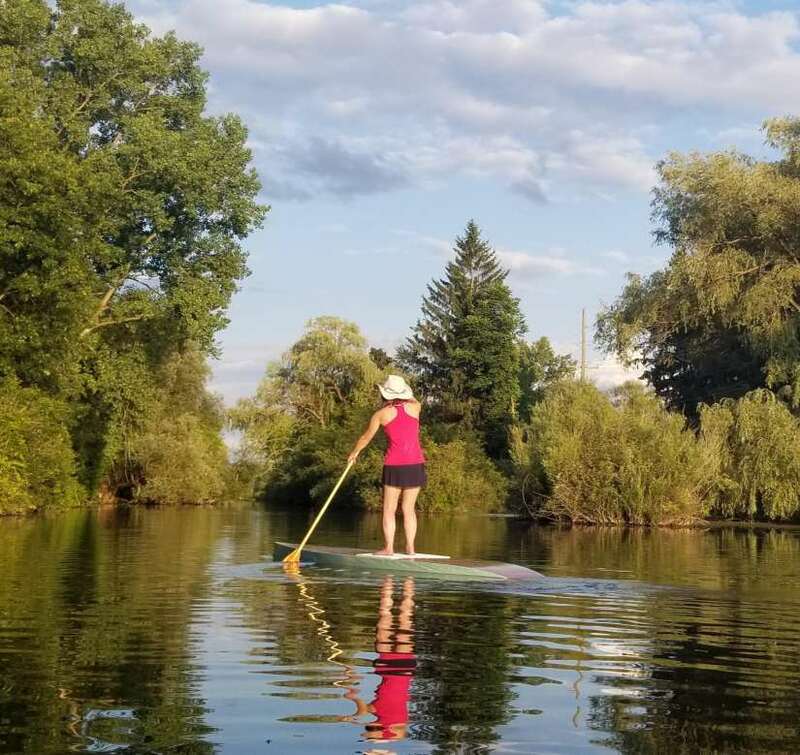 "It is my hope that we can also provide financial support to these trails that are largely the by-product of tireless volunteers from local paddle clubs who have brought these trails to the point where they can receive designation." Paul Yauk, MDNR State Trail Coordinator, explains "Waterways in Michigan have always been an important and valuable resource, from the Native Americans using them for trade to the foundation of Michigan's manufacturing and shipping industries. These state-designated water trails will encourage outdoor recreation and healthy lifestyles while boosting local economies." "Michigan is proud of its thousands of miles of nonmotorized and motorized trails," exclaimed Yauk. "These state-designated water trails give even more reason to call Michigan 'The Trails State.'" The MDNR will continue to receive applications for this program and is looking forward to a Pure Michigan designation program in the near future. The Michigan Trails and Greenways Alliance is the statewide voice for non-motorized trail users, helping to build destination trails and advocate for trails policy and funding in Lansing. For more information, visit us at www.michigantrails.org or find us on Facebook.